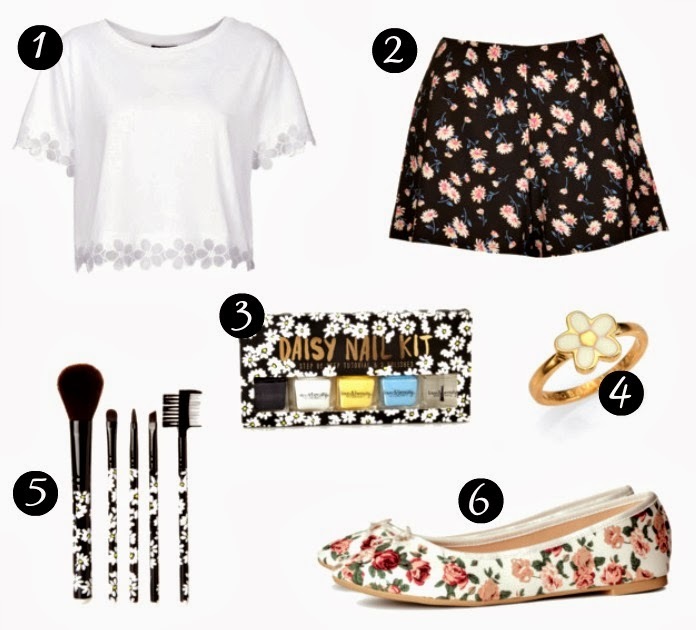 So Fashionably Frugal: Florals & Daisies Gone Grunge! Today's post is all about floral prints! Have any of you noticed that every Spring florals become a fashion trend? It makes sense but isn't it kind of creepy? When I'm old and raggity I'll probably still be wearing florals in the Spring. And yes, I plan on being a fashionable old lady..even if I'm the only one who thinks it :) What about you? Are you going to be the old lady smacking bad guys with your Chanel bag? But what I really love about this Spring's florals is that they've given them a grungy edge. Perfect for festival fashion...especially if any of you are lucky enough to go to Coachella! So here are some of my all time favorites. And if you don't like any of my favorites...I have a lot more below for you to browse through. As always...thank you again to all of my amazing followers...I have 20 now on Bloglovin' and I really can't believe it! It means so much! Feel free to leave a comment below if any of you have suggestions for future posts! I'd love to hear! Aah very nice! Love the top and shorts. Thank you! :) I love the crop top too!